Hats off to the architect! This masterfully designed home takes full advantage of the stunning views of Heritage Golf Course and the sparking waterfall pool! 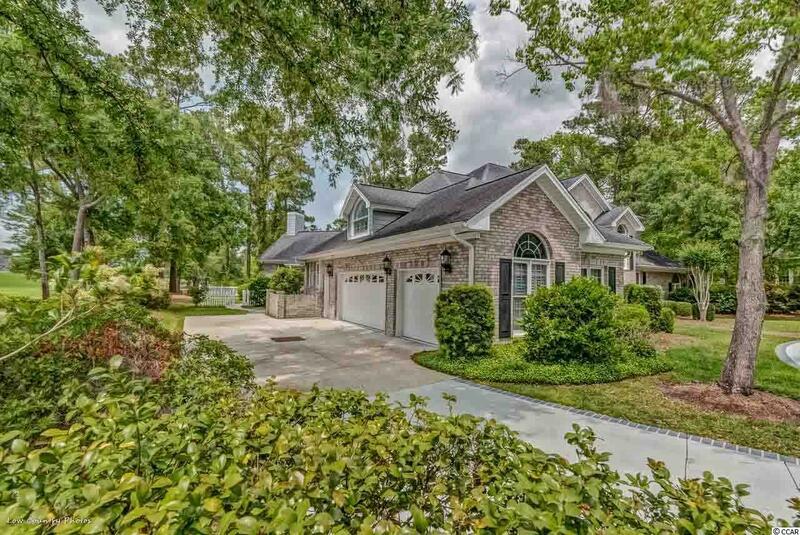 Located in one the most prestigious areas in Heritage Plantation, Oakmont Drive is lined with magnificent live oaks that lead you all the way to the waterway! From the moment you walk through the front door, you are drawn to the outdoors by the towering ceilings, windows and French doors! 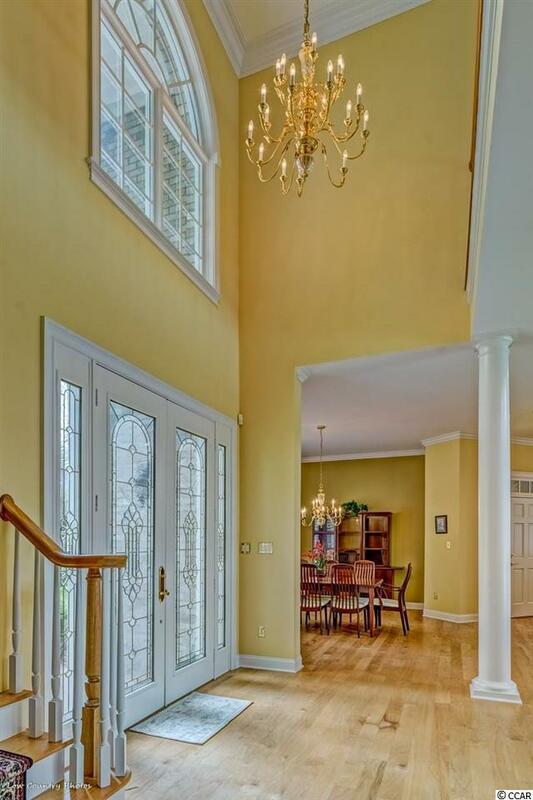 Quality is evident from the beautiful hardwoods that are throughout the entire home. This impressive home has much to offer. 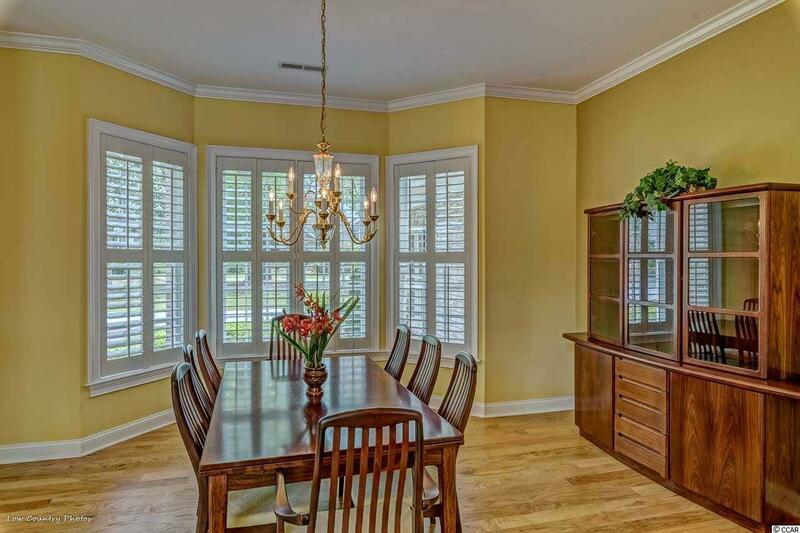 Formal living and dining areas, gathering room with fireplace, vaulted ceilings, plantation shutters and built-in entertainment center. The kitchen has warm wood cabinets, white appliances and solid surface counter tops. Downstairs you will also find an office with great built-ins, a pool bath and a spectacular master retreat with en suite bath and walk in closet. All areas lead to the amazing glass Carolina room with awesome views. Your guest is sure to enjoy the privacy of the 2 upstairs guest bedrooms with private baths and loft sitting area. A separate stairway leads to another bonus room/bedroom that has many possible uses. The three car garage is large enough to store all your toys! 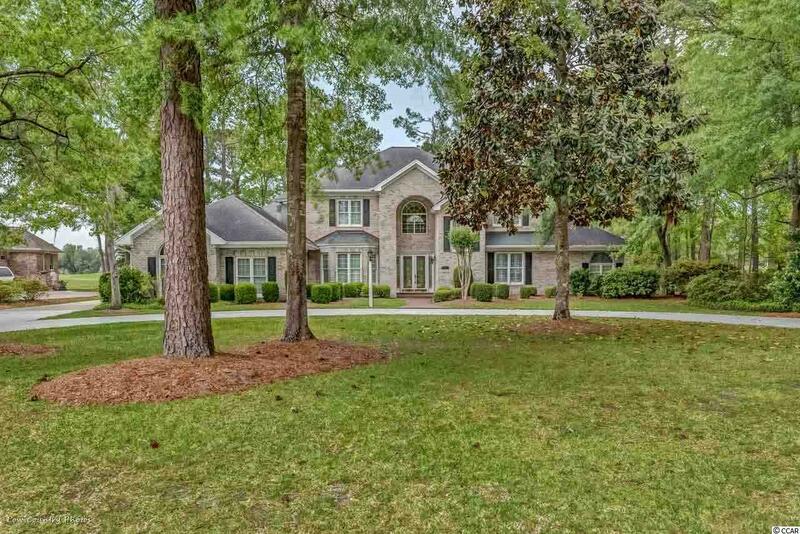 The Heritage Plantation Owner's Clubhouse offers a 75 ft. pool, fitness area, hot tub and four Har-Tru clay tennis courts. For the boating enthusiast there is a spectacular marina with wet/dry storage overlooking the Intra-coastal Waterway. The Heritage Golf Club is consistently in the top 100 public golf courses. Listing provided courtesy of Heritage Real Estate Sales Llc. Listing information © 2019 Coastal Carolinas Association of REALTORS® MLS. Listing provided courtesy of Heritage Real Estate Sales Llc.